Heart aches at the events that takes place, natural calamities happen when you least expect. When so many are suffering, life goes on, yet we pause many a times, spelled shocked to accept, yet carry on with what we have to do. It’s been a sober weekend, didn’t do much other than loitering around. Planned for a park visit for the kids, as their father said he wouldn’t be able to take them. Finally we all landed at the swimming pool. Moments such as these make you want to capture time in your palm and not think further. 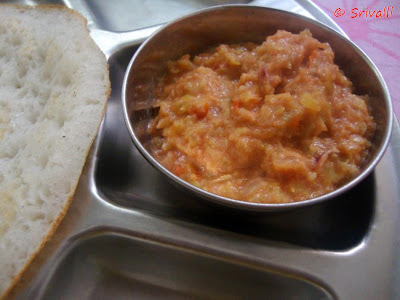 Today’s recipe is one such dish, memories of a childhood spent enjoying this chutney. 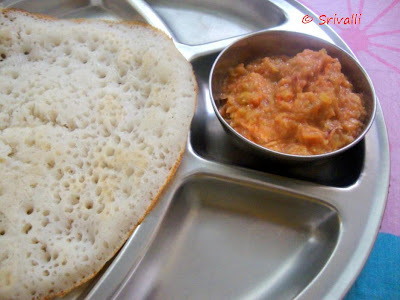 It was by chance that Amma made this once, and we loved it so much that it became a regular at home. Amma made sure to make this during the season, which I am not sure I know. 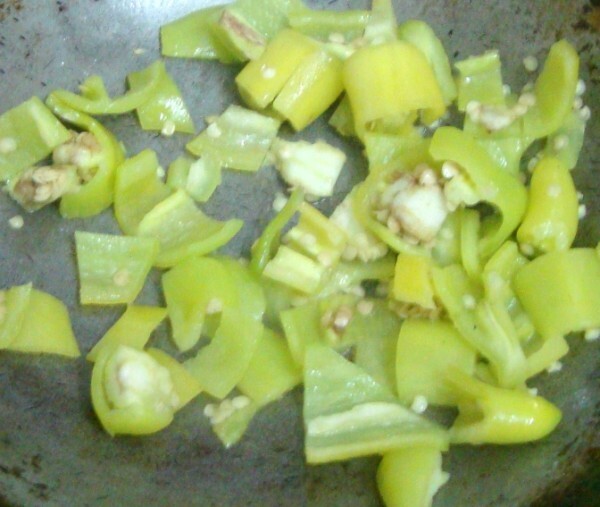 But it must be during this season or rather I know see that in our markets this kind of Green pepper is quite common, what with it’s famous affliction to Marina Beach. 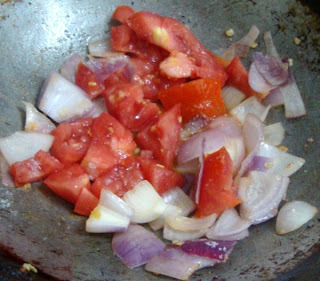 Amma makes it with equal amount of tomatoes and it used to quite spicy and tasted awesome with Dosas. When I made this a while ago, prices of onions and tomatoes were skyrocketing. I didn’t want to use so much of my pantry quote, not because I didn’t want to buy more or spend, but for the simple reason I didn’t want to give more reasons for the market to sore so much. We should learn to make it work with what we have and not go beyond our reach and make it a reason more for people who don’t care for the common. 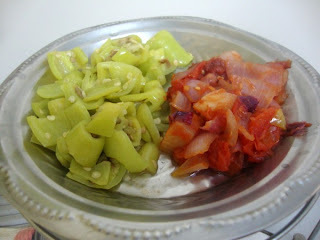 Anyway when I made this relish, it turned out different, because I made it differently. I promised myself that I will make it again what with the tomato being so excess right now. These are the famous peppers that are used to make Bajjis, Pepper Fritters. Allow it to cool, add salt and grind the onions, tomatoes first, then pulse the green peppers couple of times. Make sure you don’t grind this to a smooth paste, it tastes best when you can feel the peppers, crunchy onions. Not required to add any other chilies or red chili powder as this will be spicy enough if you don’t remove the seeds. Chutney sounds interesting…. chutney with chilli bajji is new to me. Loved this since it uses only the veggies unlike the other chutneys I know. Wowwwwww.. pachadi looks too good and tempting.. chala chala bagundi.. thanks for the recipe !! Perfect for all the tiffins. pachadi with chilli bajjis is new to me !!! So tempting and delicious !!! 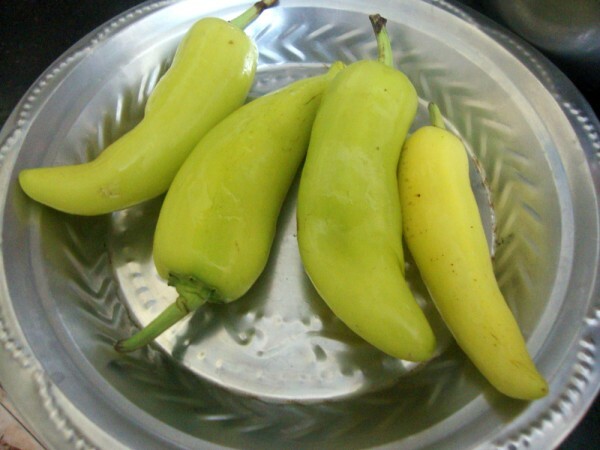 tempting and yummy!….nice one for dosas surely! Oof.. I can feel the spice of the peppers there!! Come here all the time but don't leave comments much. One thing prompted me. Kudos to you for cooking within the means and not helping to push prices higher. Especially consider how ubiquitous tomatoes and onions are to South Indian cooking. Those well off in society can afford to buy at higher prices without much complaint, but what about the poorer among us. I have read so much about the seafood business in Kerala, where the fisherman will rarely get a chance to eat the amazing seafood that they catch. Again, kudos, and I hope many more follow such example. Pl collect your award from my blog! Looks wonderful. I have a lot of this pepper sitting in my refrigerator. AM sure gonna try this. hi friends, me too from chennai. this is such a great blog with so much variety. have to chk it out daily.